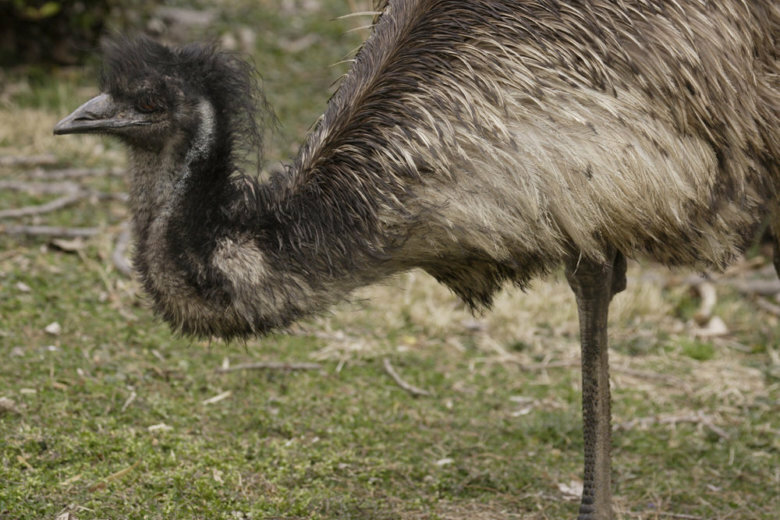 The large, flightless bird was estimated to be in its mid to late 20s, which is the median life expectancy for emus, according to Smithsonian's National Zoo. WASHINGTON — Darwin, an elderly male emu at Smithsonian’s National Zoo in D.C. that had arrived in 1997, was humanely euthanized last week. The large, flightless bird was estimated to be in its mid to late 20s, which is the median life expectancy for emus, according to the zoo. Darwin was euthanized Friday after animal care staff noticed the bird was lethargic, not defecating or urinating, and not showing an interest in food, the zoo said. Darwin underwent a diagnostic exam Friday, but zoo veterinarians found no obvious cause for the lack of energy or appetite. When Darwin recovered from the anesthesia, he could not stand up, and staff decided to euthanize him “due to poor prognosis and quality of life,” the zoo said. The zoo called Darwin an “educational ambassador for his species” for his work in highlighting emu nature and behavior to visitors, keepers and scientists. He did not sire any offspring, the zoo said. Darwin’s origins are not exactly known since he came from a private individual in Maryland, the zoo said, but he arrived at the zoo’s Cheetah Conservation Station exhibit in 1997. He moved to the zoo’s Bird House in 2012. Emus are native to Australia; the International Union for Conservation of Nature lists them as “least concerned” in terms of vulnerability.